I was a pretty active child growing up; my parents call me their “Monkey” as I’m constantly in a ‘go, go, go’ mode. I cheered on my high school cheerleading team and started hitting the gym when I lived in Ottawa for school. 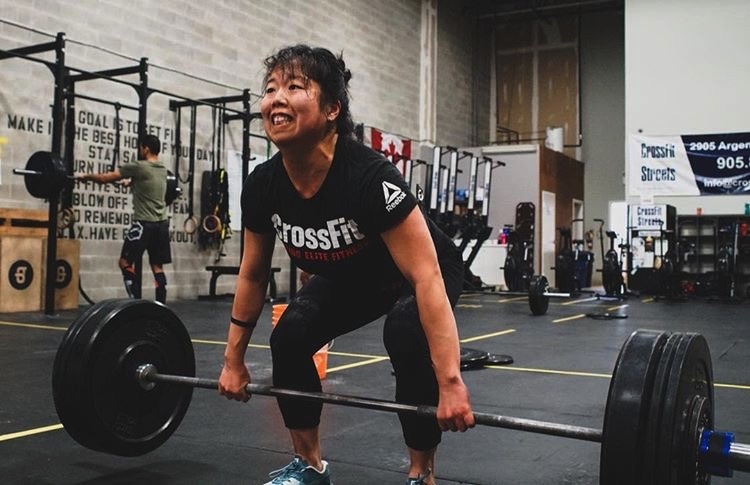 I found CrossFit after coming across a photo of an acquaintance participating in a local CrossFit competition and was intrigued to say the least. I haven’t looked back since. The community, drive and determination I found at Streets was something that I’ve never seen before in a conventional gym. My love for hitting WOD’s that leave you on the ground and constantly setting and achieving new goals continues to grow each day. I was handed the CrossFit Level 1 Trainer’s Guide for some light reading and finally decided to go for it in August of 2017. I’ve always wanted to be a part of something where I can actively help others around me. Along with CrossFit classes, I help coach the After School Athletes with Coach Lindsay, run Babes & Barbells and Cardio Club.